Do any of you have days where you need to finish off many started projects? Today is one of those. I have the sky to finish in an oil painting that was interrupted a couple of weeks ago. 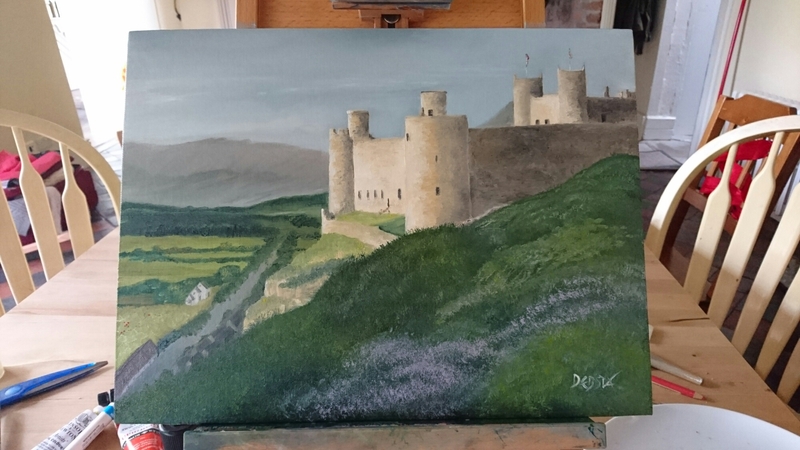 An acrylic to continue with. Two commissions to start planning for…a triptych and a barn owl. And news just in…a half price sale in hobbycraft!!!! 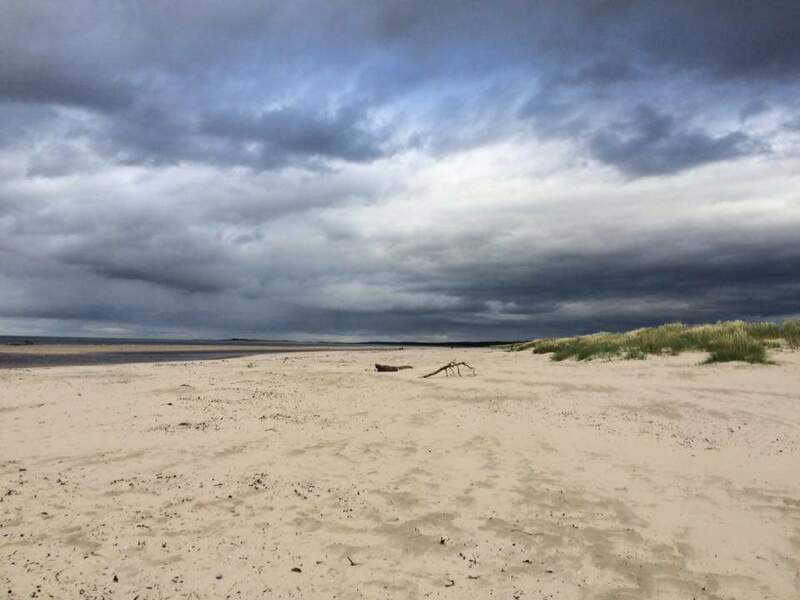 I might also make a start on this beautiful photograph in nairn…crying out for an oil painting. 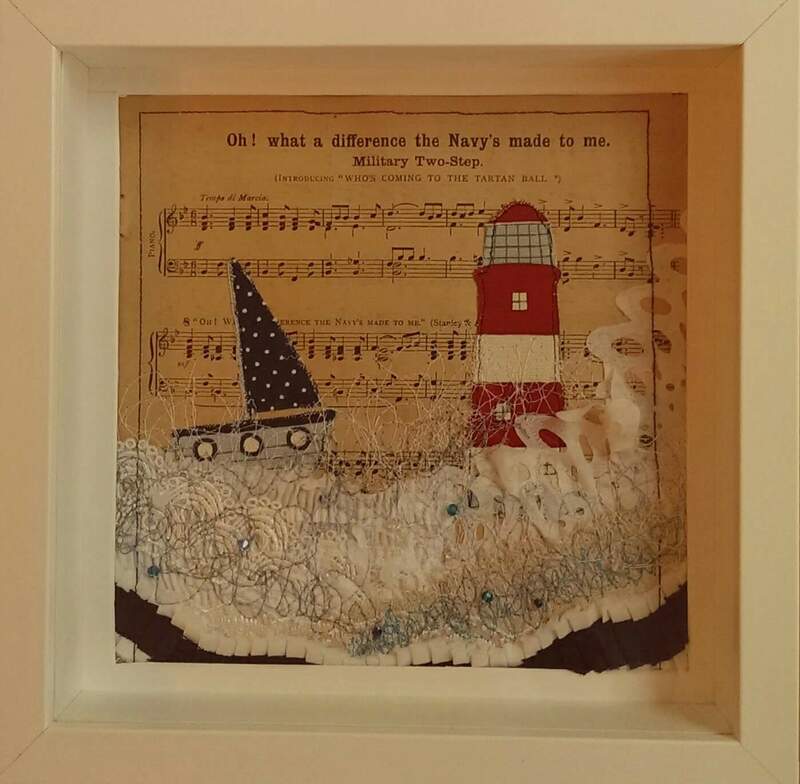 My good friend Sarah Williams created this today and I just had to share 🙂 her love of the sea and music and indeed sewing is pretty evident. With summer holidays comes all sorts of creativity mainly designed to occupy young minds. Today was all about making pizza from scratch… 6 kids…2 adults and lots of fun. great fun was had by all, especially me as occupied kids equals parents free to chat! My new artfinder.com shop is now live!! Very excited. There are 12 paintings for sale so head over and take a look, hit like on the ones you like (obvs) and follow me so that you can be updated when I add more to my shop. 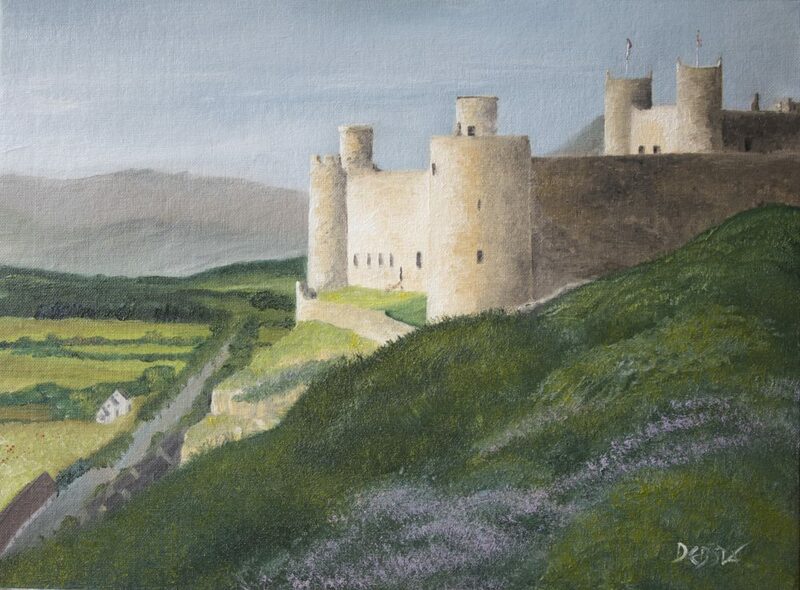 This original oil painting’harlech Castle’ is available on artfinder too. 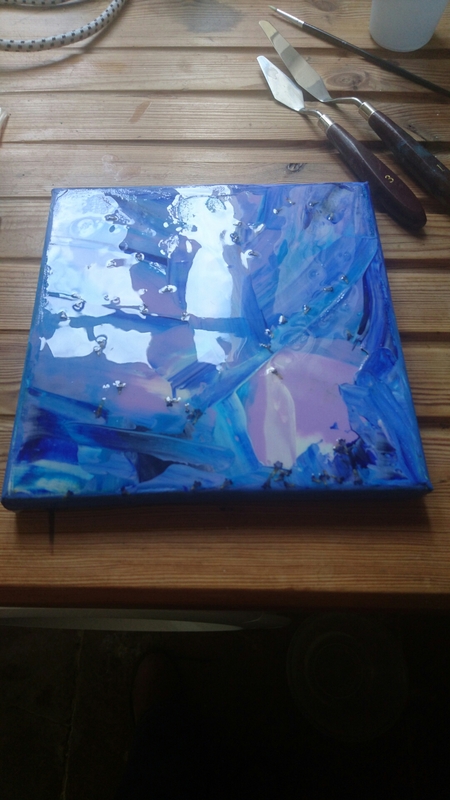 So a few days ago I mentioned having a go at using resin in my art. Inspired by the lavender smells wafting through my window I painted an abstract piece using acrylic paint. My daughter carefully collected lavender petals for me and when the painting was completely dry I mixed up a batch of resin and poured it on. Smoothing it out and spreading to the edges. I then placed the lavender petals onto the tacky resin and topped with more resin. I love love the glass like gloss! This is completely dry. I cut my finger trying to prize the painting from the cardboard it was sitting on lol! William is just 8 weeks old and is adorable 🙂 His favourite thing is cuddles on your lap at the moment… I’m not sure he will fit for long!!! 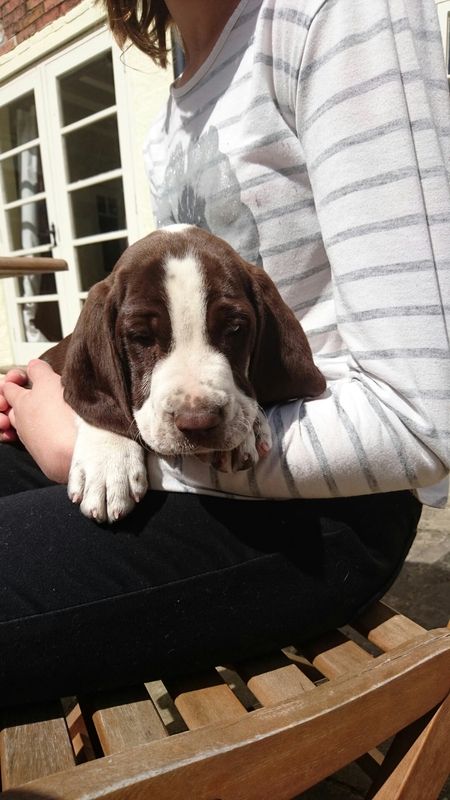 He is a fenlander puppy and is a Weimaraner crossed with a springer spaniel. This little lad will help me to balance sitting/standing painting with plenty of walks and runs as he vets bigger.